Smaller size bamboo toothbrush suitable for children. With a biodegradable bamboo handle, this bamboo toothbrush is a plant alternative to disposable, non-recyclable plastic toothbrushes. At the end of its life, bury or compost the Environmental Toothbrush to avoid landfill and pollution of the environment*. 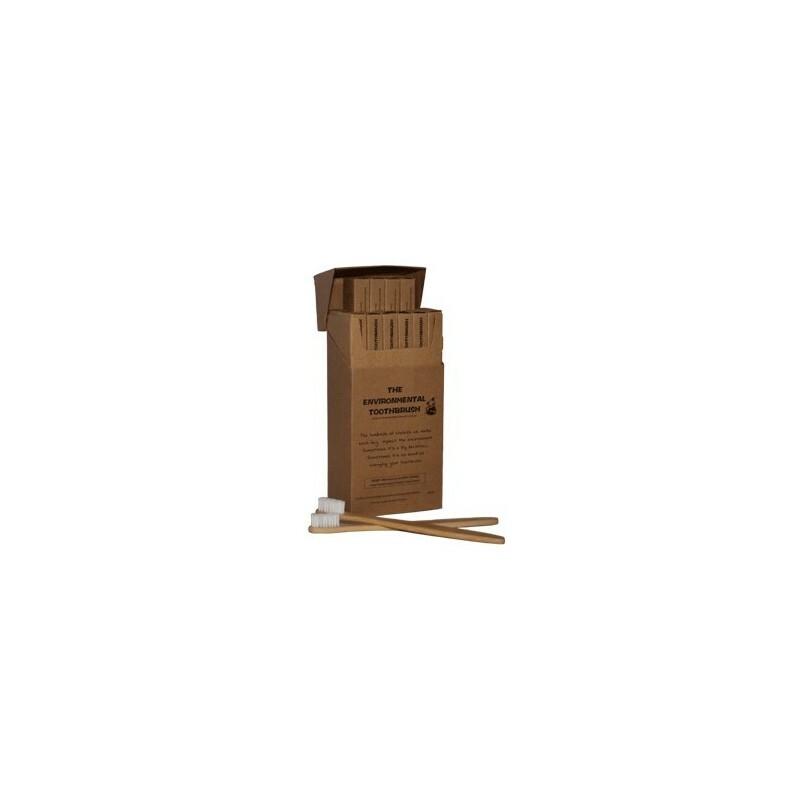 Listing is for Box of 12 Environmental Toothbrushes only. Buying this product = 40 Reward points for Members. Your cart will total 40 points = voucher of $2.00. Not a Member? Join at checkout to claim these points. 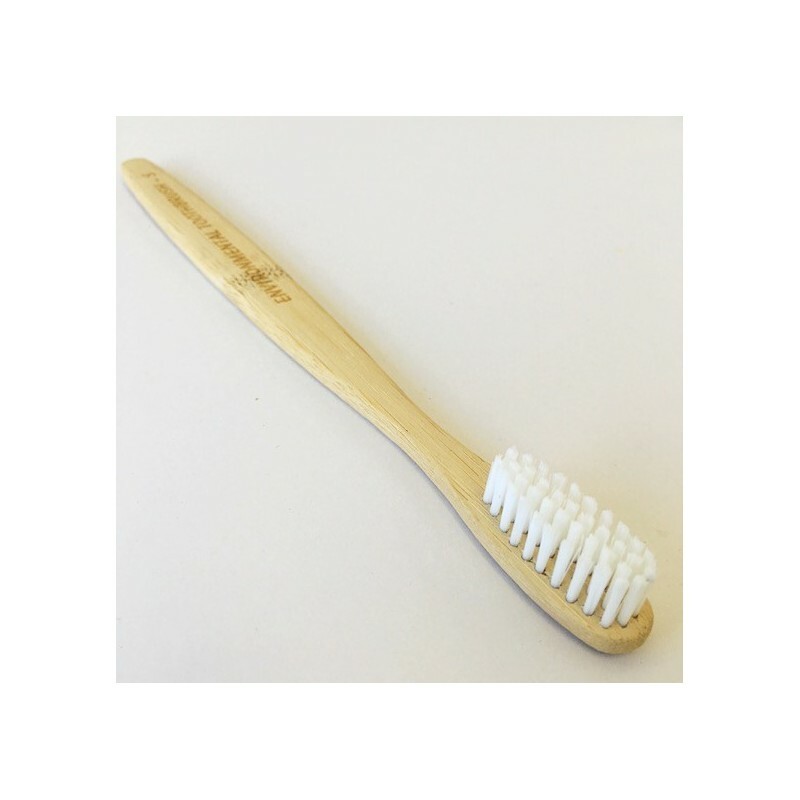 Made from MOSO bamboo, a plant cellulose fibre, this Bamboo Toothbrush handle will biodegrade in compost landfill. Listing is for one small bamboo toothbrush only. Bamboo is renewable timber that grows rapidly without pesticides - rather than a plastic handle made from non-renewable, polluting petrochemicals. Reduce the amount of non-biodegradable plastic entering landfills each year. 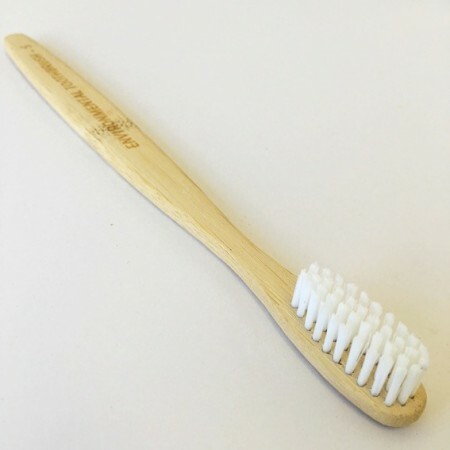 At the end of its life, the bamboo toothbrush handle will biodegrade into your garden soil or compost (first remove the bristles and place in bin). 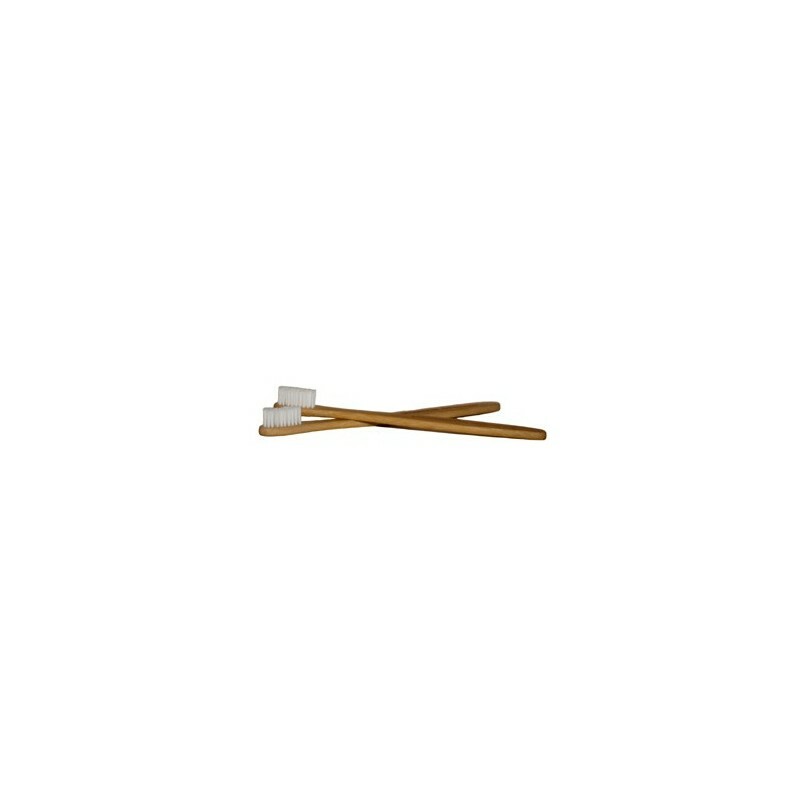 Bristles made from a synthetic Nylon 6 resistant to microbial growth during normal use. Available in three styles - adult soft, adult medium and child's soft, plus charcoal toothbrush bristles. Environmental Toothbrush is an Australian owned company with a commitment to sustainability. Made in China. My kids actually prefer these brushes to the plastic colourful ones. I was in between Biome deliveries and had to give my 4 year old a plastic one (left over from before I switched to bamboo) and then I caught her trying to throw out the barely used 1 week old plastic brush once the bamboo ones were delivered. They are soft to use, comfortable, light, and best of all, biodegradable (except for the bristles).